Starbucks chief digital officer, Adam Brotman, has revealed at the annual shareholder meeting that the company is now taking more than 3m mobile payments in the US every week. “We’re a leader and its accelerating. At this rate, about 10 per cent of all tender in US stores will be mobile payments by the end of this year,” he said. Speaking to investors, Brotman said that the company now has 10m active monthly users on iOS and Android. “We’re adding another football stadium every week, about 100k downloads,” he added. The company’s mobile sites and apps combined reach 34.8m unique people every month, “more traffic than the amount of web visitors to the New York Times and Wall Street Journal combined.” Mobile app users will now be able to collect loyalty points and pay using their smartphones in Starbucks’ new Teavana stores. Starbucks CEO Howard Schultz opened the annual event with news that the company is nearing its all-time high valuation, currently standing at $43bn. In the last three months, it has opened its first store in India, along with its first and 800th in China. Despite recent scorn for tax avoidance, Starbucks was named the fifth most admired company in the world by Forbes. This entry was posted in Adam Brotman, Howard Schultz, mobile, Mobile Marketing Magazine, payments, Starbucks, tax avoidance, United States on March 28, 2013 by kirstystyles1. Jadu has launched an app creation platform integrated with PayPal’s Express Checkout to help charities create web apps that can quickly process tablet and smartphone donations. The apps can help fundraising managers capture data on who is donating, where, using GPS, and why. They are responsive and adaptive to different screen sizes, including tablets, but don’t work on older handsets. If charities have developers in-house, they can build their own custom templates, but as the platform is free for a year, and negotiable thereafter, it is designed to be used by chairities without large budgets. The platform is cloud-based and open source so any updates made by developers can be shared with the whole community. PayPal currently has 123m users and enables people to pay on the platform without entering their card details. Using PayPal, charities can build in monthly donations so users can schedule payments like a DirectDebit. Although Kika said there were no plans to integrate with other payment sources, developers can wire in their own. The apps natively supports Giftaid. John Lunn, global director of PayPal Developer, said that PayPal already has more than 300,000 not-for-profits collecting donations on its platform, processing $4.6bn every year, but only 3 per cent are currently coming from mobile. Users can download the web apps to their phone, whether that is singly, or as an ‘app store’ from the relevant charity. The charities can add in Twitter and Facebook automation so users can either communicate to others that they have made a donation, or like the Facebook page. They can also ask users to tell them why they made the donation. 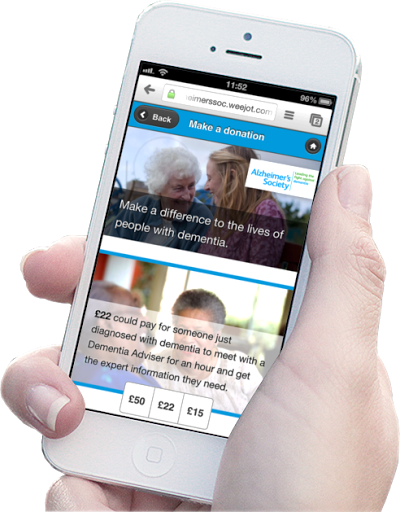 Liz Monks, director of fundraising at the Alzheimer’s Society, said that charities need to use technology in ways that suits the donor. She pointed out that during the recent Comic Relief campaign, more than 60 per cent of donations were made on mobile between 9 and 10pm. This entry was posted in 2012, apps, charity, John Lunn, mobile, Mobile Marketing Magazine, payments, Paypal, Suraj Kika, technology on March 27, 2013 by kirstystyles1. Occupying the 39th floor of Canary Wharf’s rather exclusive Canada One, Tech City’s newest accelerator is committed to transforming the financial sector that surrounds it, the shopping centres beneath and to enhancing the smart city technologies on which the area was first built. This is not an attempt to “copy and paste” Shoreditch, said Eric Van Der Kleij, Head of Level39 and fintech entrepreneur, rather to be complementary to other tech hubs in the Capital and become the focal point for financial technology in London. 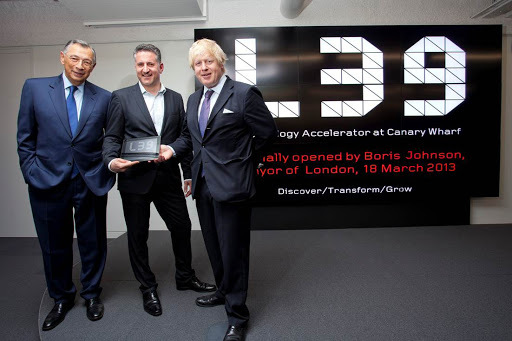 The Mayor of London, Boris Johnson, marked the opening by unveiling a (rather suitable) digital plaque. Canary Wharf already has some 7,000 people working in tech companies like Thomson Reuters and Ogilvy and Mather. Level39 has now welcomed its first businesses, which are competing in Accenture’s FinTech Innovation Lab start-up competition. This is sponsored by 14 of the overlooking banks, including Barclays and Capital One, and is backed by the Mayor’s office. Digital Shadows, among the first tenants, is a cyber monitoring service created to help companies manage the ‘digital footprint’ left by social media, mobile and the cloud. Having started off as a two man band working above a meat shop in Farringdon, the company is completing its 10 week programme with mentoring from four banks in an office which is worth around £1.1m and used to be occupied by KPMG. The accelerator space houses four sandboxes, including one called ‘Eastminster’, which has already been used by the Ministry of Justice to discover how they could use their procurement power to drive the economy, has event space for 250, the obligatory open plan eatery complete with iPad-controllled coffee machine and a board room. A hackday called ‘Hack (Make) the Bank’ to try and devise a new kind of banking was already underway. Downstairs will be a “living lab for next generation retail technology” located in some of the “highest yielding shopping centres in the UK” he said. Level39’s future cities strategy will be unveiled later this year and much of it will be centred in the new Wood Wharf development. Van Der Kleij promised that Canary Wharf’s new cross rail station, with a 39 minute journey to Heathrow, would be completed by 2015, “years ahead of schedule”. Canary Wharf Group has issued a call for companies and entrepreneurs to apply to be based at Level39. Click here for more info. This entry was posted in Boris Johnson, Eric Der Kleij, finance, fintech, Level39, mobile, Mobile Marketing Magazine, startups, technology on March 19, 2013 by kirstystyles1. 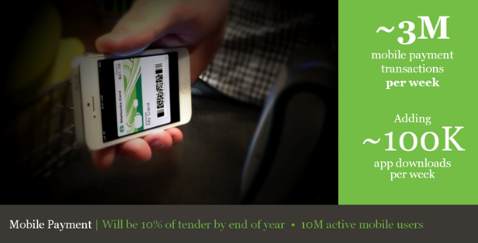 A mobile payments service is launching in London with a very different proposition to other solutions coming onto the market. The Droplet iOS app enables its users to load money onto their phone by direct debit or using their bank card so they can ‘send’ payments to merchants or friends for free – paying anyone who has signed up to the service. The service has been trialled in Birmingham with 60 merchants signing up so they can accept instant mobile payments and take advantage of the company’s ‘no transaction fees’ offer. Initially people could pay at participating retailers by scanning the unique merchant QR code in store, but the app now works with the phone’s GPS to identify who to make a payment to. Users can browse a map for Droplet merchants and see who is offering special deals. Droplet is launching in London on Wednesday and the company says it is in negotations with several ‘national retailers with shops on every high street’, with the first partnership to be revealed at the event. There is a one-off £1 charge to make the link between the app and the bank account being used to make direct debits – which is then given back to you. Monetisation will come from the company’s ‘tools marketplace’, which the company’s CTO, Will Grant, sees as becoming the ‘app store for payments’. Developers will have access to the company’s APIs so they can create and sell customised tools, including things like ticketing and loyalty funtionality. “We know payments really well but we don’t know about things like tickets or car parking – the marketplace is going to be great for us and great for them,” said Grant. Merchants can add a Droplet key to their till and receive email or push notifications when payments to their Droplet account have been made. The company is also working with ePOS companies to integrate the technology directly and offer different solutions within the marketplace. 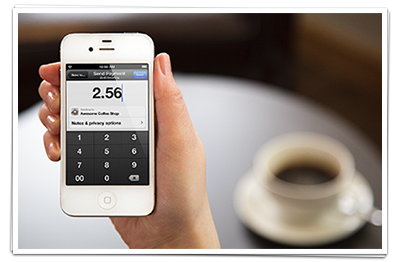 Merchants can also use a smartphone or tablet to monitor their account and reconcile the Droplet balance with their till. The app will be launched in other major cities across the UK, including Bristol, Manchester, Leeds and Liverpool. This entry was posted in apps, contactless, droplet, iOS, location, mobile, Mobile Marketing Magazine, payments, startups, Will Grant on March 18, 2013 by kirstystyles1. Google has removed all ad blocking apps for Android from its Play Store, including AdBlock Plus, which we reviewed and spoke to the creator of when it launched in November. AdBlock says that this ‘unilateral move threatens consumer choice’. AdBlock Plus is a free tool created by an open-source community that its creators say helps users avoid misleading, malicious and distracting advertising. The app currently blocks all ads but the creators planned to have a ‘whitelist’ of acceptable ads – similar to its desktop version – along with ad filters for users. Ad blocking software violates section 4.4 of Google’s Developer Distribution Agreement by disrupting the ad funding model which enables developers to offer free apps. 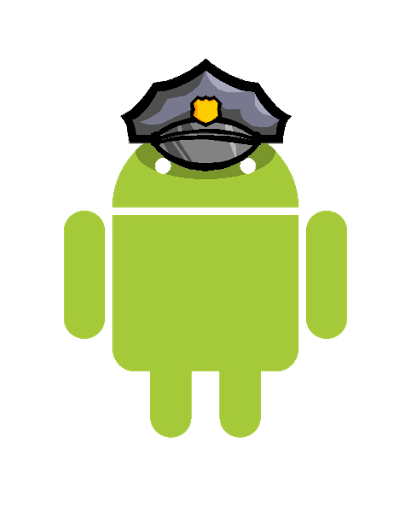 “We remove apps from Google Play that violate our policies,” a Google spokesperson said. “We believe that the user, not Google, should be in charge of what kind of content can be displayed on their device,” said Till Faida, co-founder of Adblock Plus. “Of course it’s important that developers can still monetise but many overdo it or use ads that present a privacy invasion or promote malware. We encourage advertising that is done appropriately and conforms to an acceptable ads policy, which is debated and decided in an open public forum. Android users can still install Adblock Plus from the AdBlock website. This entry was posted in adblock plus, apps, google, mobile, Mobile Marketing Magazine, privacy, technology on March 14, 2013 by kirstystyles1. John Lewis is held up as something of a model business in the retail sector, with its democratic structure and lean approach to bricks and mortar – it has just 35 stores serving the whole of the UK. 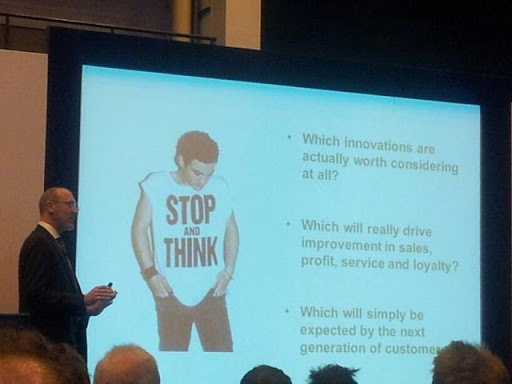 In his keynote at Retail Business Technology Expo, the company’s head of IT infrastructure, Julian Burnett, explained how the organisation approaches new technologies. The company trialled an augmented reality ‘magic mirror’ in its Oxford Street store – but Burnett admitted that it did not increase sales or “create something compelling and sustainable for the business”, so the retailer did not continue with their experiment. He said John Lewis will be trialling RFID chips in its clothing departments soon, which could take the form of tagging clothes to monitor stock levels, automatically re-order items and help staff find things that have been ditched by customers. The company is starting to use technology in stores, possibly a mobile wi-fi solution, to gather anonymous data about shopper behaviour to help maximise the spaces they own and rent. Burnett said this was only “initially on a passive basis”, so will potentially lead to opted-in location-based loyalty programmes. Burnett was excited about the potential for new technologies to improve the back-end of the business. Last year, John Lewis invited 30 British businesses to tackle three real business challenges in its retail stores. The winners were Black Marble, a software consultancy firm who offered a tablet solution to the problem of stores being flooded with last-minute back-to-school shoe shoppers. This is now being trialled in three stores, and the competition will become an annual event. The company has an innovation board that meets monthly to consider a whole range of challenges and opportunities. They recently asked the partners (that’s everyone in the company) to suggest their own business improvement ideas – and received 127. The eventual winning idea will be trialled and if it meets the business tests, it will go into full scale implementation. On big data, despite noting the “big hype”, he said all retailers and other industry players are trying to work out how to bring together the large amounts of structured and unstructured to gain insight. “Back office data is outlegging the level of data in the front office,” he said. He also praised the cloud. “We don’t need to own anything. The pace of change that we’re faced is so dram that our ability to respond as an IT function makes it all but impossible to run traditional data services.” He said they are also actively looking at how John Lewis can take advantage of app stores for corporate purposes. This entry was posted in big data, innovation, John Lewis, Julian Burnett, loyalty, mobile, Mobile Marketing Magazine, startups, technology, wi-fi on March 12, 2013 by kirstystyles1.